To contact Dmitri Alden, MD, FACS via email, whether you are a patient or medical professional, please complete the form to the right. We will respond to your inquiry ASAP. *Dr. Alden speaks fluent English, Russian, French, and German. Note: The best way to deliver records is by using a cloud service such as Dropbox or Google Drive. Usually the file size of the records are too large to send over email. Collect and provide actual CT/MRI/PET images in digital format (CD or memory stick is fine if you plan on coming to the surgeons office). Your most recent blood test results. 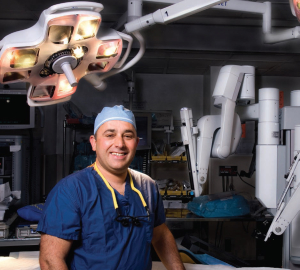 Remote Consultations: In addition to office based consultations Dr. Alden offers phone or SKYPE consultations to patients and medical professionals anywhere in the world. If you are interested in a remote consultation please follow this link to learn more: remote consultations. 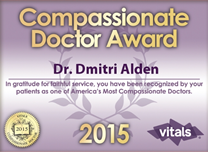 Please do not hesitate to contact Dr. Dmitri Alden’s office if you have any questions.